It must be a very difficult thing to be an actor in a Star Wars movie these days. People are always going to ask you about it, but with how secretive Lucasfilm is, specifically when it comes to Star Wars: The Last Jedi, it is tough to give answers with any substance to them. But Adam Driver managed to give us something well worth chewing on recently, saying that some "new rules" are going to be introduced into a galaxy far, far away with Star Wars 8. The actor, who plays Kylo Ren in the new Star Wars trilogy, recently spoke with The Huffington Post about some good deeds he recently did for a military family. Adam Driver did take a second to talk a bit about Star Wars: The Last Jedi, though (how could he not? ), and explained that director Rian Johnson is bringing in some new rules and playing with both the familiar and unfamiliar with this movie. Here's what he had to say about it. "[Johnson] created new rules for the Star Wars universe and balanced the familiar and unfamiliar very adeptly while respecting that his audience can handle ambiguity. Which you can see in his previous films. Characters and story are his priority." If you've seen any of Rian Johnson's movies, Looper and Brick in particular, what Adam Driver has to say about character and story being his priority definitely seems to be a true statement. Even in a pretty high-concept sci-fi movie like Looper, he was able to craft compelling characters and throw in a few interesting but not forced twists into the mix. It sounds like he may have been able to do something similar with Star Wars 8 and that is just what fans need right now. As much as everyone liked Star Wars: The Force Awakens, there have been quite a few who feel it mirrored Star Wars: A New Hope too closely and want to see something new. Rian Johnson has already assured us that Star Wars: The Last Jedi isn't just going to be a retread of Star Wars: The Empire Strikes Back, so we don't have to worry about that. There will surely be some parallels and it was recently rumored that the movie is going to end on a cliffhanger, like The Empire Strikes Back did, but that doesn't necessarily mean it will be a repeat. Plenty of second installments in trilogies end on cliffhangers. In terms of what these "new rules" could possibly be, that is pretty vague right now. It's really anyone's guess what that actually means, but it is a pretty interesting thing for fans to ponder. 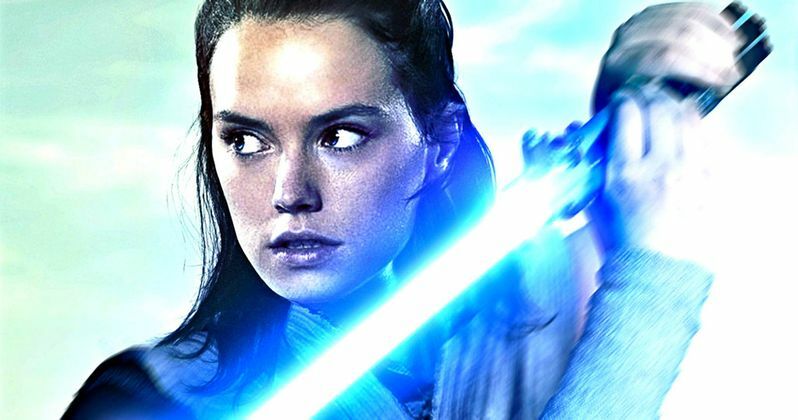 We aren't likely to get any answers until the movie arrives on December 15, but we may get some hints when the new Star Wars: The Last Jedi trailer arrives, which will be soon. A trailer has been rated and should arrive during either D23 or San Diego Comic-Con next month.